Living... in early 1970s Queens with his wife, Edith, and daughter, Gloria. Oh, and Gloria’s bleeding-heart liberal husband Mike, better known to Archie as “Meathead.” It’s tough enough to share a house with a hippie, but even worse when Archie steps outside and has to deal with minorities, gays, Jews and all the other groups of people he takes issue with. Profession... foreman on a loading dock and World War II veteran. Archie is a blue-collar guy who had to drop out of high school to help his family through tough financial times, so he resents anyone who – in his (often incorrect) judgment – doesn’t work hard for their money. Interests… kicking back on his trusty recliner and referring to foreigners and minorities by names no longer acceptable to use. Challenge... dealing with a changing world. To Archie, it used to be that white, Anglo-Saxon men (aka “real Americans”) ran the world and everyone else did what they were told. But suddenly there’s a Civil Rights Movement and peace protestors, and worst of all: people who disagree with President Nixon. Every interaction with someone outside his comfort zone is theoretically an opportunity for him to learn something new, but Archie’s not always willing or able to do so. Personality... loud, bigoted, hard-headed, and short-tempered. Yet, somehow, still oddly loveable. Archie represents the old guard in a constantly shifting social climate. He’s always ready to speak his mind, but when Meathead moves in, he now has a representation of everything he hates walking around and pushing all his buttons. Archie might grow more accepting eventually, but not before he speaks his piece – and quite colorfully at that. 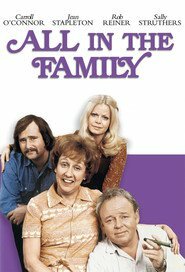 Archie Bunker's popularity ranking on CharacTour is #2279 out of 5,000+ characters. See our top-ranked characters and read their profiles.